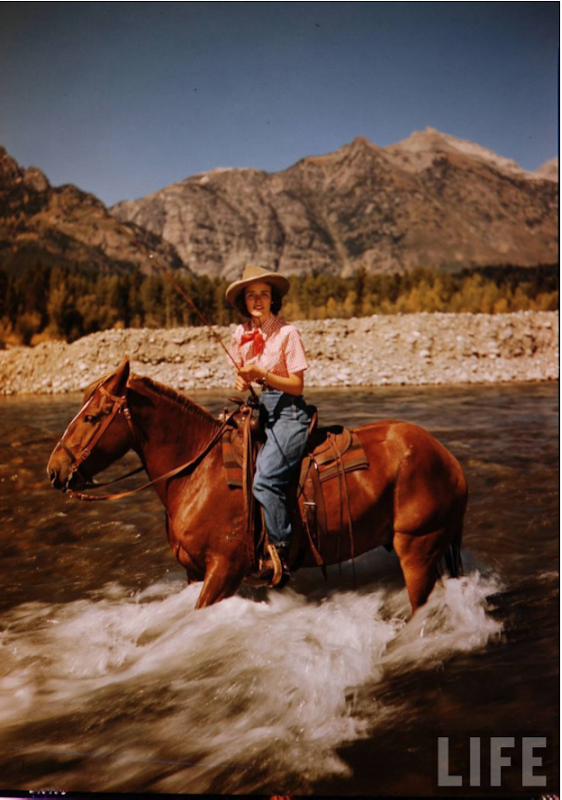 Photo woman fishing on horseback in Jackson Hole, Wyoming by Alfred Eisenstaedt via the LIFE Archives. Who needs waders when you've got a horse? What if she needs a smoke? Never thought a horse could help you fish! Nice pic though.